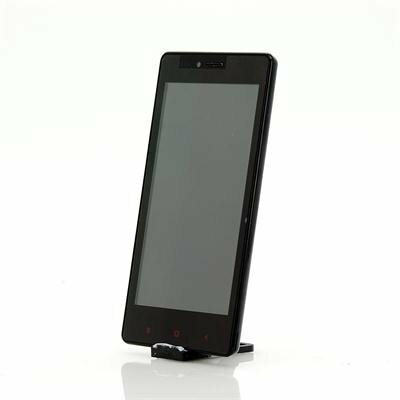 Successfully Added LKD F2 Android 4.4 Phone - 5 Inch 854x480 Display, MTK6582 Quad Core CPU, Bluetooth, Dual SIM Support (Black) to your Shopping Cart. 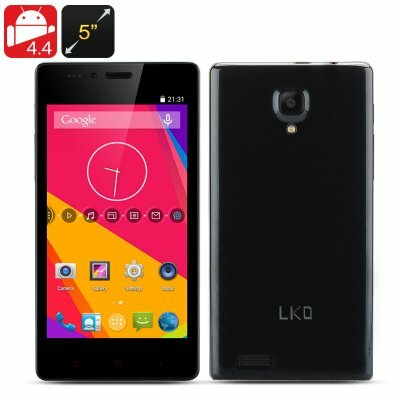 The LKD F2 Android 4.4 Phone features a 5 Inch 854x480 Display, MTK6582 Quad Core CPU, Bluetooth and Dual SIM Support. Experience Android 4.4 KitKat operating system on this conveniently sized and priced mobile smartphone from LDK. This is the F2 model that has been manufactured by LDK with the goal of offering an advance Android experience at a small cost. With a 5 inch touch screen display, the phone lets you be in control with the 854x480 resolution. Insert up to two SIM cards into the phone’s available slots and have access to communicate with others using 2G GSM 850/900/1800/1900MHz and 3G WCDMA 850/2100MHz bandwidths. Take a photo with this smartphone’s front-facing or rear built-in cameras and save it onto the 4GB of internal memory that is offered. You can even expand the memory with the available micro SD card slot that supports cards of up to 32GB. This phone’s ANTUTU benchmark score reached up 17200 thanks to the high speed MTK6582 quad core configuration. It adopts a 28 nanometer for a better escalated system that with this type of benchmark score, this phone runs without interruption even when playing heavy demanding games.